September/October: Little Red Boobook roosting in our tractor shed! Wonderful bird-watching opportunities abound at Sweetwater Lodge’s Nature Reserve with its variation in habitats over our 160 acres. Wander at will around the various walking tracks, through mountain rainforest, down to the creek, in the open grassland and woodland, in amongst the tall eucalypts and around the honey-flora gardens surrounding the lodges. Wake early to the cacophony of the kookaburras, and the bird symphony surrounding your lodge, listen out for the Bush-stone Curlews at night with their haunting cries, the “falling bomb” sound of the Lesser Sooty Owls after dusk and the calls of the Pheasant Coucal triggering summer’s arrival. Ask your hosts to organise for a guided tour around Sweetwater and the local area with one of our many leading local birding experts. Sweetwater Lodge not only offers outstanding private accommodation with a warm welcome, but also offers keen birders great opportunities for Bird-watching and Nature Photography. Fall out of bed at the crack of dawn and wander leisurely through the various habitats on offer at this expansive property. No need to drive anywhere! Sweetwater has easily accessible walking tracks including through private rainforest up to 500m above sea level. The property extends beyond to upland rainforest heights but it is harder to access. Major habitats on the property include rainforest, riparian, open grassland and woodland. There are also semi-retired fruit orchards. 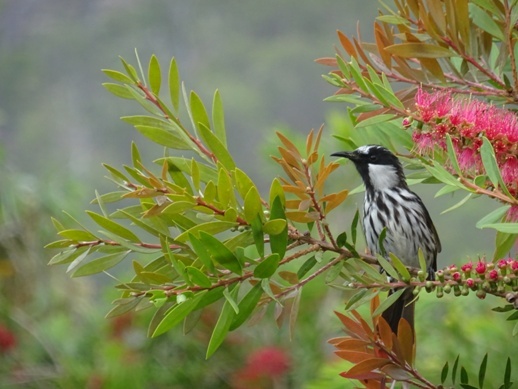 Australian native honey flora gardens are now well established around the lodges, being home to many of the native bird species including several species of Honeyeaters. 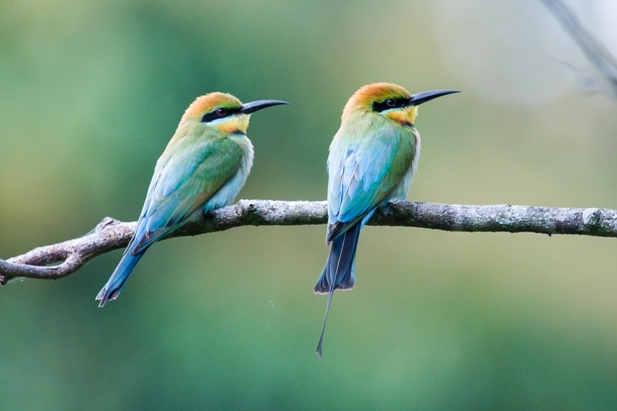 Sweetwater Lodge is happy to organise guided bird-watching tours around the property and the surrounding area. Guided tours are conducted to suit your itinerary by extremely knowledgeable local bird experts/guides. We recommend David “Chook” Crawford from Close-up Birding Adventures who can tailor make a tour for you in this outstanding area of the Far North, minimum 1 person, maximum 4. Locally born, what David doesn’t know about birds in this area is not worth knowing! 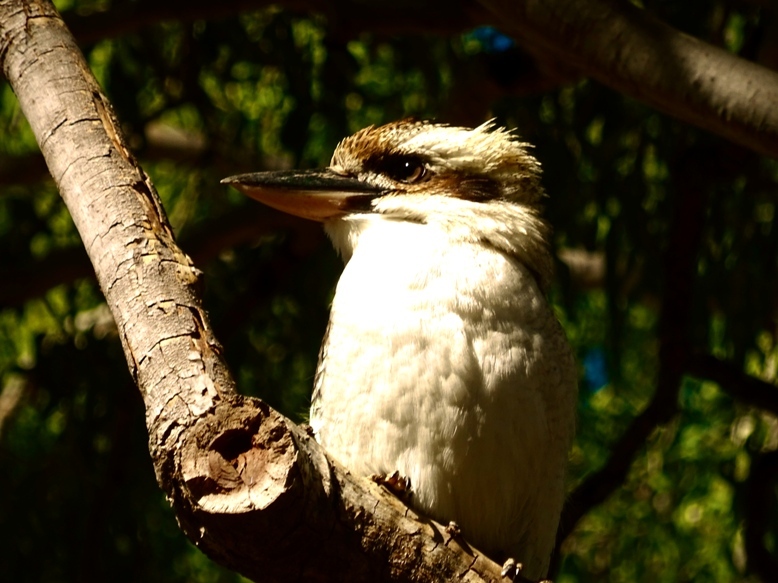 Del Richards from Fine Feather Tours is also highly knowledgeable and offers tours of the area including down to the coastal areas around Mossman for keen birders and photographers. Check out our 3 and 5 day Birding packages on our Rates page. Sweetwater Lodge recommends a minimum 5 nights stay to make the most of your visit to this area. It is an excellent base for exploring the best the region has to offer and is an easy drive to all the hotspots in the North. A one to two week stay would however give you the best experience for both the lodge and seeing the wider area in general. Only half of you with a passion for bird-watching??! No Problem! If only half of a partnership in interested in bird-watching or nature photography Sweetwater Lodge is the ultimate retreat boasting our luxury accommodation, private swimming holes, lovely nature walks, abundant wildlife, sun loungers down by the creek, kayaking, platypus viewing, books, magazines and dvd’s, our fabulous indoor/outdoor shower and a well equipped al fresco kitchen. Log fires in winter. We can also quote for in-house massages or put together a tailor made itinerary or package to include massages and bird-watching, catering to the needs of all our guests. Sweetwater simply is the best place to truly relax, and feel the stress of everyday living simply disappear while being surrounded by our wonderful natural paradise. Port Douglas is only a 30 minute drive away with a huge variety of independent shops and excellent eateries together with the famous 4 Mile Beach and being the gateway to the Great Barrier Reef with all the major reef companies operating from the Marina. If sailing is your thing, head down to the Port Douglas Yacht Club on Wednesday afternoons and “hitch” a free ride on one of the sailing boats which head out towards Low Isles in the early evening as part of the Wednesday Afternoon Gentleman’s Sailing Club, (WAGS.) Port Douglas also plays host to the renowned local crafts market every Sunday from 7:30am until 2:00pm. 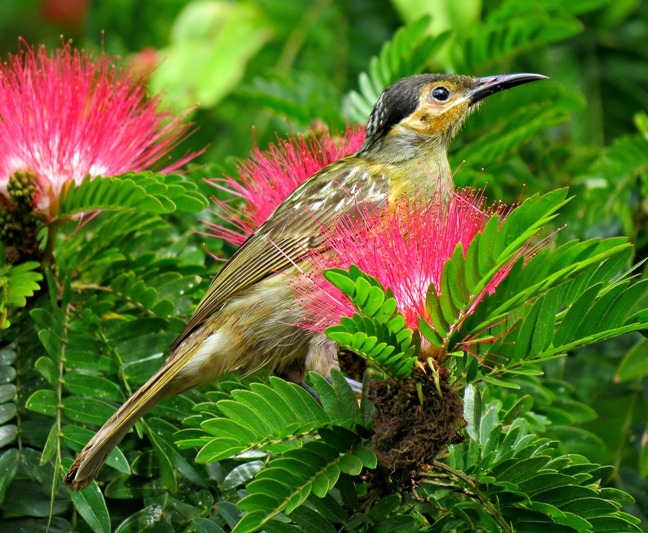 Whilst good bird-watching can be expected all year, the peak season is from June until October with the flowering trees and shrubs in spring (October) attracting many species. The summer months, (from October to April) offer you the chance to see the many migratory birds. 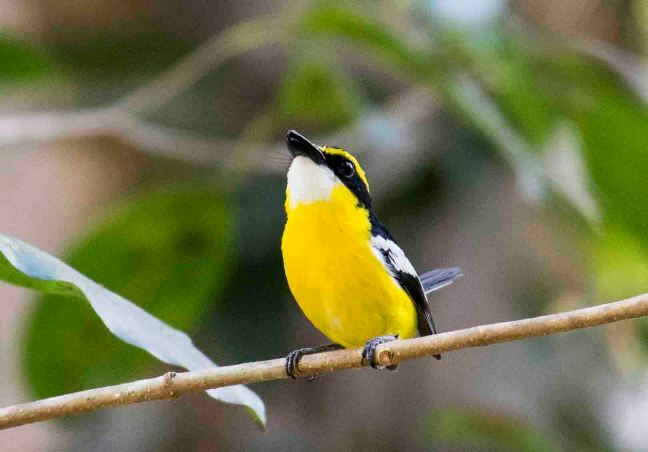 These include the Metallic Starlings, Eastern Koel, Pied Imperial Pigeon, Channel-billed Cuckoo, Satin Flycatcher, Dollarbird, Cicadabird and the stunning Buff-breasted Paradise Kingfisher. The summer months however are a little more challenging being the wettest time of year, however you could still be lucky enough to enjoy long summer days in our fantastic Julatten climate, world renowned as being one of the top 10 liveable climates in the world! Much cooler than the coast and with a lot less humidity it makes for very comfortable conditions. 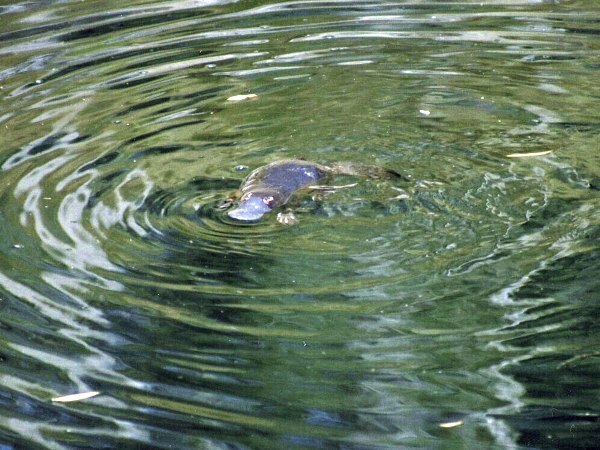 Sweetwater Lodge also offers guests the opportunity to cool down in the many private freshwater swimming holes on the property during this time of year. 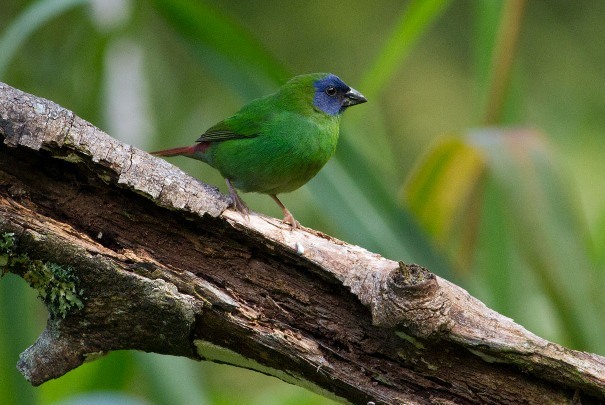 April to September is the best time of year for spotting the elusive and very beautiful Blue-faced Parrot-Finch with good populations here at Sweetwater feeding off our tall grasses along the rainforest fringe. May is often a stunning month to visit following the wet season with our vast green paddocks and full and recently flushed out creeks. It is also considerably cooler at night than the summer months. 4 major bird habitats including open grassland, woodland, rainforest and riparian. A rare but nonetheless welcome visitor to Sweetwater includes the Southern Cassowary, which we have spotted tromping through the rainforest and along the creek line. Buff-breasted Paradise Kingfisher from November through the summer months to April as they return to the area to breed. Other wildlife on the property includes platypus, wallabies, pademelons, swamp wallabies, goannas, echidnas, long-nosed bandicoots, sugar gliders, water dragons, northern spotted quoll and during the summer months a large variety of frogs including the white-lipped green tree frog. 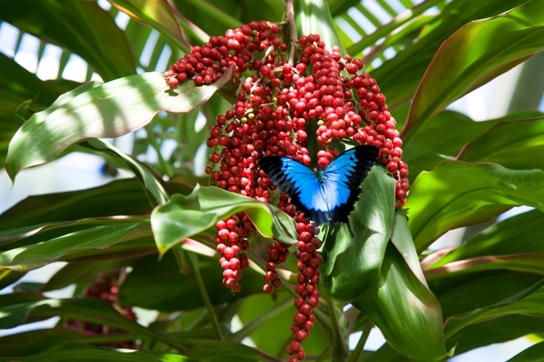 Both the magnificent Cairns Birdwing and Ulyses butterflies are frequently spotted around the property. Taking Mt Molloy township, (5 mins. from Sweetwater), as a central point just over 300 bird species including all 13 Wet Tropics endemics have been recorded within a 15km radius of the town. No other region in Australia can boast this, not even Kakadu! Sub species to the region include the very pretty Double-eyed Fig Parrot, Southern Boobook, Pale-headed Robin and Bassian Thrush. 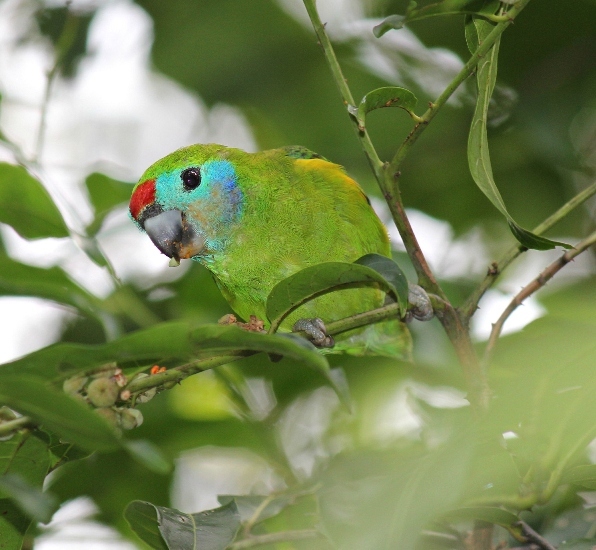 With the richest flora and fauna in the country and subsequently a diverse range of habitats from the Daintree in the north to Mission Beach in the south, it is possible to spot many of the 440 odd species recorded in the area, more than half of Australia’s entire bird land based species of 750. Mt Molloy – 5 mins Known for Great Bowerbirds and Bowers, Red-winged Parrots, Pale-headed Rosellas and the Squatter Pigeon. This is much drier habitat than Julatten. Mt Lewis National Park – 5 mins to the foot of Mt Lewis Road Outstanding birding up to 950m above sea level with all 13 Wet Tropics Endemics. Mitchell Lakes – 15 mins Great for waterbirds. Look for a chunky gate at the southern end for closer access. McDougal Road – 5 mins Heading back towards the coast from Sweetwater just opposite the turning to the school is a left turn into McDougal Road. There is a private dam down on the right hand side with easy viewing of various waterbirds. Bushy Creek and Rocky Creek also cross the road further down. Mowbray National Park – 15 mins Taking the Julatten school turning right off the highway, follow Euluma Creek Road until you reach Black Mountain Road off to the right, approx 8 km. There is a rainforest track which works its way down to the coast at Mowbray Valley, can be sightings of the Southern Cassowary. Cairns – 80 mins – Cairns Esplanade is known for Migratory Waders. Also Cattana Wetlands at Smithfield with access via Yorkey’s Knob Road north of the city, and Centenary Lakes near Edge Hill Botanical Gardens. Michaelmas Cay – Access via boat trip on the Sea Star from Marlin Marina, Cairns. There are daily boat trips out from Cairns to Michaelmas Cay where you will see the seabirds such as Terns, Noddies, Frigate birds and Boobies. Hasties Swamp – 45 mins. Excellent bird hide for waterbirds close to Atherton. North-eastern Queensland has one of the highest number of endemic species of birds in Australia. All can be found in the Mt Molloy – Julatten – Mt Carbine areas on the northern rim of the Atherton Tableland. This region with its great diversity of habitats, is also the richest for birdlife in Australia. Using Mt Molloy, (just north of Mareeba and just 5 minutes from Sweetwater Lodge), as a central point, just over 300 species of birds, including all 13 Wet Tropics endemics, have been recorded within a 15km radius of the township. No other region in Australia can make such a claim, not even Kakadu! 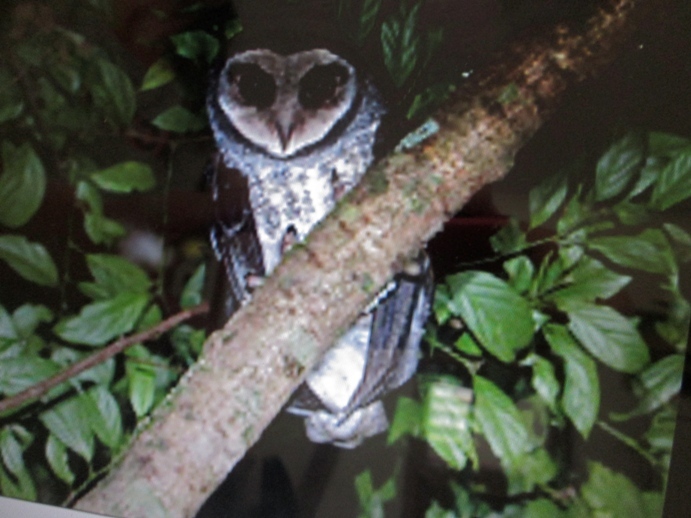 A number of rare and elusive birds may be observed in north-eastern Queensland, e.g. the Southern Cassowary of the rainforests of the eastern rim; the Australian Bustard which roams the dry tropical grasslands to the west; the rare Red Goshawk, and the diminutive Lovely Fairy-wren. This region also represents the southern limit of the endangered Buff-breasted Button-quail, Australia’s least known bird. 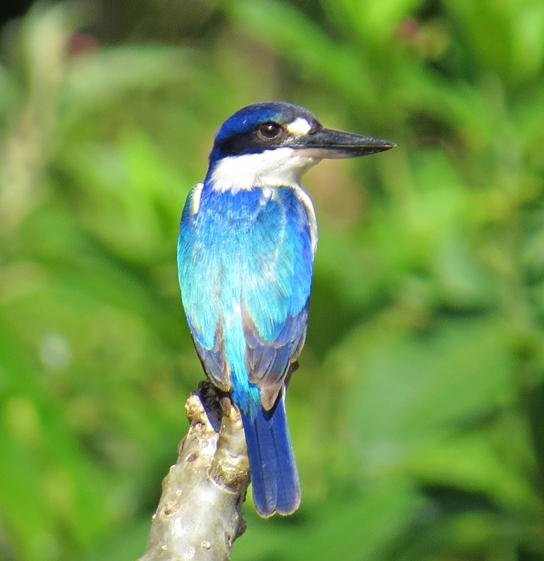 Many migrant species that have wintered to the north of Australia return to this region to breed, probably the most notable being the Buff-breasted Paradise- Kingfisher, surely one of the most eye-catching of Australia’s birds. Waders, (shorebirds), that breed close to the Arctic circle return to take advantage of the warmth and plenty of the southern summer.